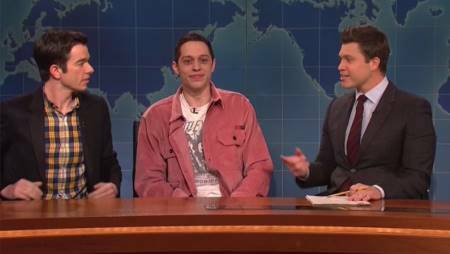 Ariana Grande's ex-boyfriend Pete Davidson addresses his mental health on SNL new episode. On his return to NBC's Saturday Night Live on Saturday, comedian Pete Davidson openly addressed his battle with mental health issues after previously sharing an alarming message revealing a suicidal note that stated he didn't want to live anymore. This episode marks as Davidson's first appearance on TV since the suicide scandal. Alongside Pete included the special guests of the show, John Mulaney and his co-anchor Colin Jost. The last time Davidson appeared on the show was on 15th December when he introduced Miley Cyrus and Mark Ronson. Despite sharing his suicide note on the internet last month, including the mental health issues he struggled with, the Comedian looks fresh and glad to be back on his job. 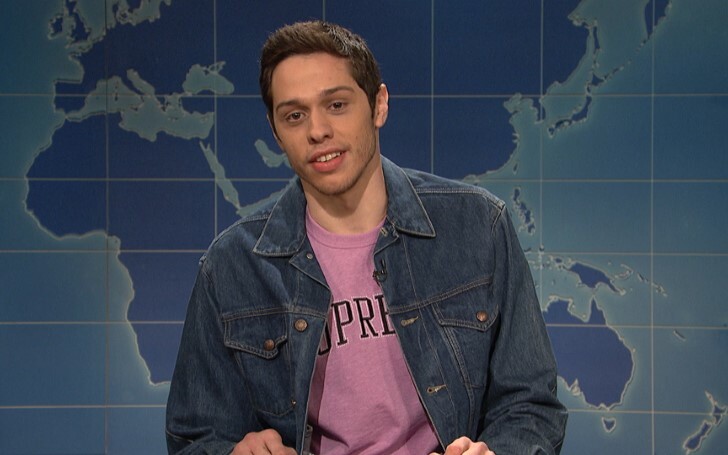 "Here to talk about a very important experience he had over the holidays is Pete Davidson." "I'm great, as you know, I've had a really crazy month, and I wanna talk about something that matters a lot to me." "No, the new Clint East movie, The Mule"
Then Mulaney joins Pete at the Weekend Update section to talk about their admiration for the film. Looking happy and healthy, Davidson joked about his mental health crisis on the show. "I have been spending time with Pete to try to show him you can have a comedy that is not insane. A sober domestic life"
"After observing John's life, I publicly threatened suicide." "I'm sorry. I shouldn't make that joke. It is funny though." Prior to his jokes, guest Mulaney then comforts Pete. "You are loved by many and we are glad you are okay." However, the comedian and his funny remarks still don't stop there. "I didn't mention her once." Moreover, both Mulaney and Davidson extends their jokes on the show. After the recent SNL episode aired on TV, many fans appreciated Pete and the whole cast 's humor. As a matter of fact, one person on Twitter suggested for Mulaney and Pete to host the 2019 Oscars. "John Mulaney and Pete Davidson should host the Oscars. This is the duo I never knew I needed." After his romance kindled with her pop star ex-girlfriend Grande, and his suicidal notes, Pete made various headlines and gossips in Hollywood. In addition, as per reports, the comedian even sparked rumors of dating actress Kate Beckinsale during the Golden Globes Awards last month.